See the feature blog on Pet Dispute Resolution on Arbitration.com. "Instead of regarding Joey like a piece of property, the judge — who gives the full disclosure that he owns a 12-year-old rescued pit bull mix named Peaches — will schedule a hearing to determine his fate." Historically, pets have been treated as property. In this landmark case, the judge is actually going to investigate "the best interests" of the dog - a standard generally reserved for children. Times, they are a changing. Our pets are our children - it shouldn't be surprising that when the relationship ends there needs to be a resolution regarding the custody of the pets. Mediation to resolve pet related disputes is a good choice - you get to choose your own solution - not one imposed by the judge. Even horses can be a source of disagreement if a relationship breaks up. If you have a disagreement with a family member over the custody of a pet, get help, use mediation to resolve the dispute. 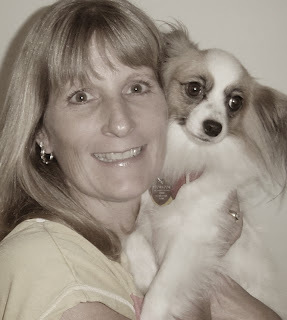 Another article on the growing trend - when pet lover's dissolve their relationships. There are good tips here for families with kids and for individuals with no kids. The point is to work out an arrangement that's fair to the pets and to the people. Peggy the Pet Mediator can help - call if you have pet dispute concerns. Pets will continue to be the focus of relationship dissolution because they are members of the family. Although the law treats them as property, any true pet lover will confirm they are so much more - priceless. If you, a family member or friend needs assistance in the resolution of a pet related dispute, try mediation, not litigation. Here's another article outlining the rise of controversy surrounding our pets. Mediation is the best way to resolve pet related issues. You can think out of the box and craft solutions that work for you and your pet. Here are some helpful tips on preventing or dealing with a pet custody dispute. Don't think this can't happen to you - it has happened to many people I know. They innocently give a pet as a gift and then when the relationship ends, they want the pet back. Doesn't always work that way. 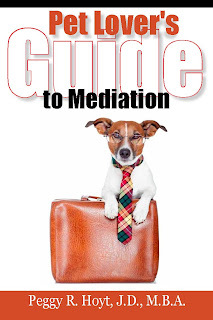 Mediation can be a solution to craft a solution that works for your pet...and you! Here's a case that got out of hand. The case fighting over the dog lasted longer than this couple's relationship. Perhaps much of the time, energy, expense and heartache could have been avoided with a mediated resolution rather than dragging this dog through the court? Thanks to Cynthia Smoot of Fox Tampa Bay for her great story on planning for your pets! Thanks to friends Don and Dana Ibold for sharing their story. Thank you to every pet owner who cares enough to plan for their pets. This story features me ( Peggy Hoyt﻿) and my furry faced kid family. If you haven't made plans for your pets, the time is now. It can be as simple or complex as you desire. Leave your pet to a trusted family member or friend. Create a pet trust to ensure your pets have care for the rest of their lives. Consider a perpetual care facility if you don't have trusted family or friends. There are lots of options. Our pets are like our children, they deserve to have a secure future. The incidence of pet custody disputes are on the rise. Our courts just aren't designed to settle this type of dispute. Mediation is a better alternative for resolving disputes of this nature. Pet Mediation is a growing trend and more pet lovers are opting to create personalized solutions rather than become a victim of the court system. For more information on pet mediation, read Pet Lover's Guide to Mediation by Peggy Hoyt, J.D., M.B.A. 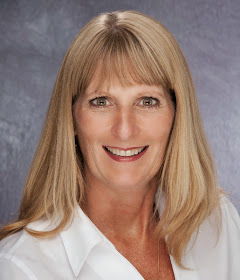 Available today on Amazon.com - The Pet Lover's Guide to Mediation by Peggy Hoyt, J.D., M.B.A. This guide for pet lover's was just released today and is available on Kindle! The Pet Lover’s Guide to Mediation is a first-of-its-kind glimpse into the world of how mediation can successfully be used to resolve pet related disputes. Disputes related to pets could include pet custody (especially in a divorce or separation), landlord and tenant issues, boarding, breeding or grooming contract disagreements, pet lemon law violations, and veterinary malpractice, just to name a few. The court system isn’t designed to address the unique concerns of pets and their owners. Not all disputes can be resolved by the payment of money. When pets are involved, creativity and out-of-the-box thinking are required to craft a solution that works to the advantage of all parties – but especially the pets. Pets are family too! When they have legal issues that can’t be easily resolved, mediation may be the answer. The Pet Lover’s Guide to Mediation answers your questions about the mediation process and how you can use it to your greatest advantage. Pets are family members that often become victims of divorce. Who get the dog? Who gets the cat? Will you share "custody"? How are you going to decide? For more information on resolving pet related disputes, don't hesitate to ask. The New Jersey courts have now said that judges are free to fashion equitable remedies in pet custody dispute cases. If you are involved in a divorce and the custody of your pet is an issue, please feel free to contact us about our pet mediation services.